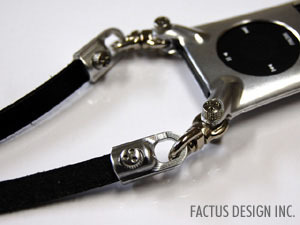 Home | Accessory goods > Strap | Neck strap "Due"
Shipment will normally be made within five to six weeks after receiving an order. 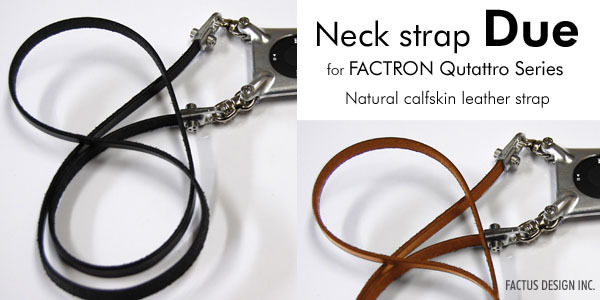 A natural calfskin strap is fastened by Quattro series screws to hooks machined from duralumin. • An iPod is not included.